It’s apparent that a great deal of our blog posts seem to revolve around a single aspect of our work as rangers here at Trelissick: This oft-omitted subject – a source of great fascination, discussion and affection for our small countryside team – concerns the retention and protection of our dead and dying trees and the remarkable, obscure ecosystems that are entirely reliant on this twilight phase of the woodland cycle. Trees that are dead or decaying play a crucial role in the functioning and fecundity of woodland ecosystems through their direct effect on biodiversity (the sheer number of different species present). Within a single such tree, crevices and rotting cavities fill with detritus and provide food and shelter for an enormous range of invertebrates such as scarce beetles, centipedes and wood lice. These insects in turn provide food for birds such as the tree creeper and lesser spotted woodpecker and bats such as the noctule. 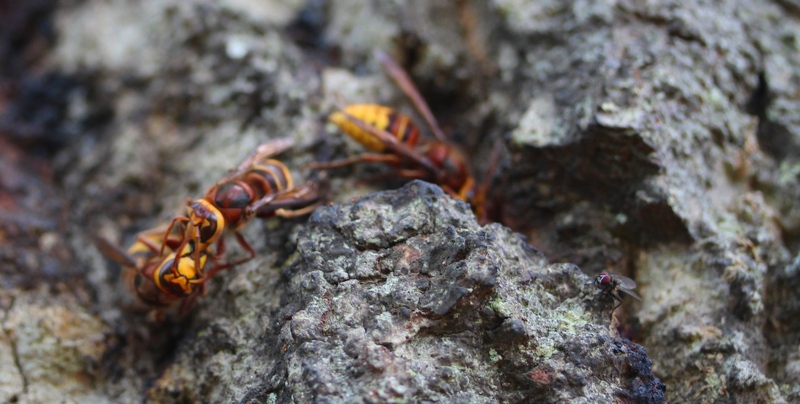 Furthermore, tree wounds and seepages (where rainwater gets into the sap) afford feeding sites for hornets, hoverflies and butterflies. The ‘galleries’ created by the movements and mastications of dead-wood invertebrates are clearly displayed here…. Within the woods at Trelissick, it is not difficult to spot substantial accumulations of deadwood, all around as you explore. Organisms that feed upon this wood are called ‘saproxylic’ and a large proportion of those that are rare or threatened are often completely confined to this relict form of habitat. A great deal of these species have rigid requirements for their very existence and can only be found where management has made concessions for the continuity of mature trees and deadwood. These beetles are the smaller cousin of the larger (and more famous) Stag Beetle: The larvae of this insect depend upon dead and rotting wood for both food and shelter (especially ash, beech and apple wood) and the adults can be found, during the summer, hiding around dead wood and leaf litter during the day. 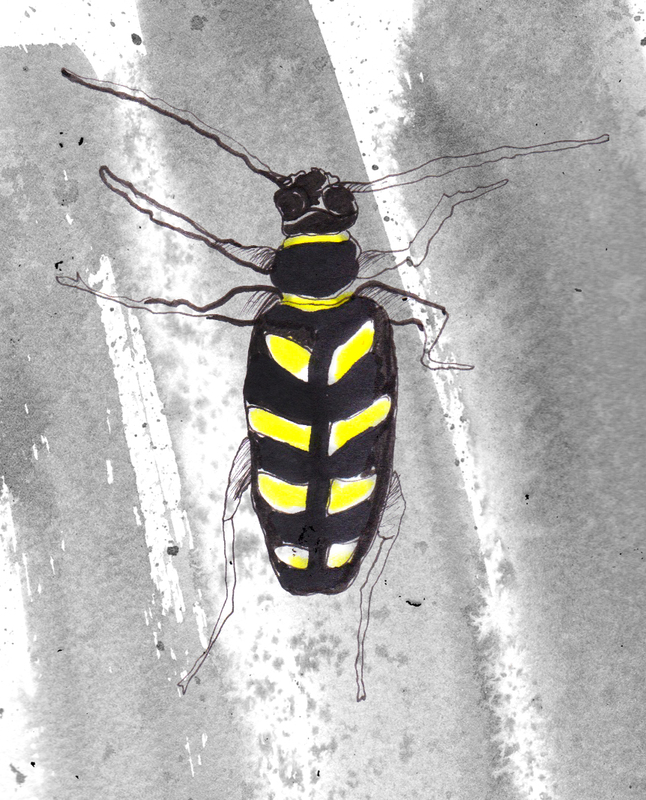 At night these beetles emerge to fly and are often attracted to bright lights. The larvae of these wood boring beetles develop in the galleries between the sapwood and the bark of freshly dead or dying Rosaceous trees; mainly pear, plum, apple and hawthorn. Scolytus mali is therefore usually found in traditional orchards and hedgerows containing fruit trees. This recording was noted in one of the old orchards we have on the wider estate. This fly has been observed at Roundwood and is mainly associated with ancient woodlands, especially those situated near water, making Trelissick a perfect habitat. The voracious larvae of this fly feed on various types of land snail. These flies are fairly widespread across Britain but these are the first such records for Cornwall. The death-watch is a wood boring beetle, rich in sinister folklore. Its morbid presence can be noted throughout the full spectrum of arts and literature as an ill omen, symbolic of imminent death. 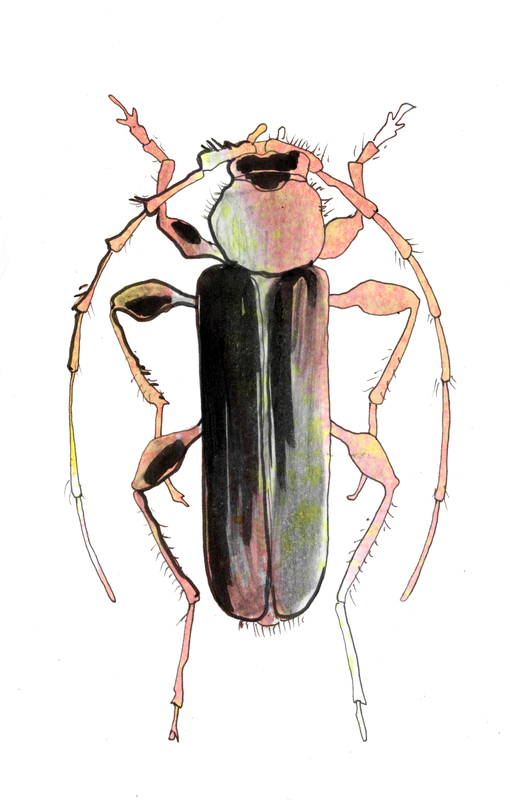 It is the beetles’ characteristic behavior that has bestowed that moribund moniker. 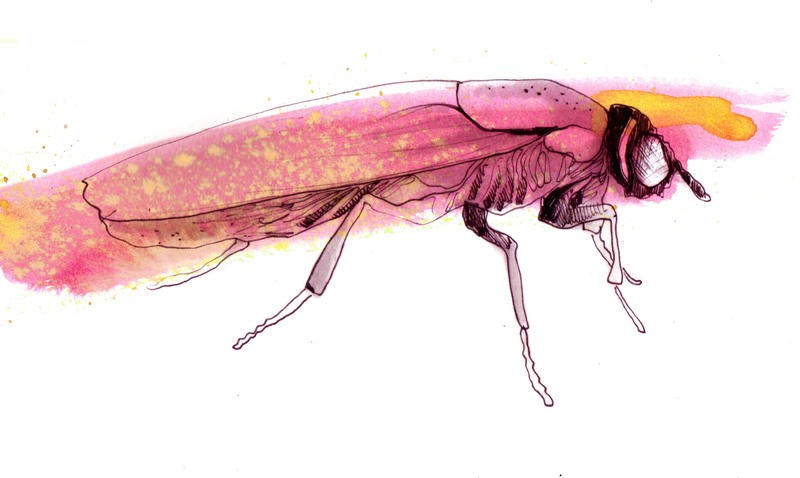 In order to attract a mate, these insects create a tapping sound, often heard in the beams or rafters of old buildings during summer. 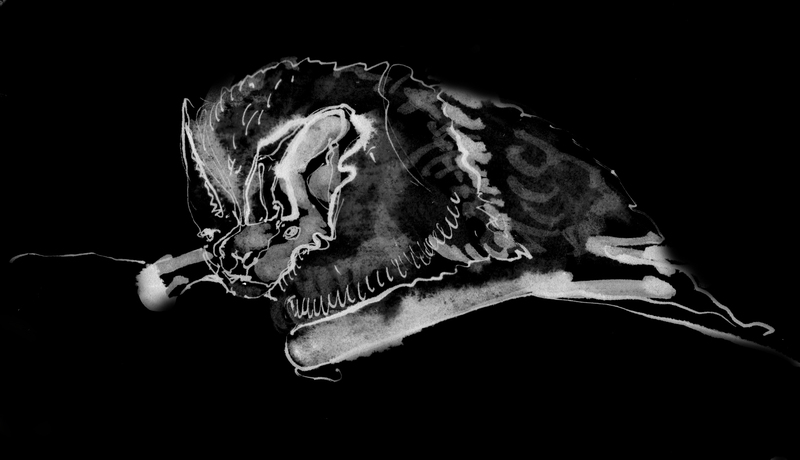 As a result, this species is associated with sleepless nights and the vigil kept beside the dying or the dead. The superstitious have come to view the appearance or sound of a death-watch as the harbinger of impending doom! How apt that this beetle, in its Cornish colours, resides with us on the estate. It is best known in Cornwall within the Fal and Helford catchment areas. The soft larvae of this longhorn develop over several years in the totems of dead trees, stumps and cordwood. They particularly favour oak, beech and chestnut. When ready, they emerge as adults in July and August to visit the flowers of elder, angelica, bramble, broom and scabious, flying with a loud, almost mechanical hum. This bright red and violet/black beetle is commonly called the violet tanbark beetle. In Europe, this is one of the most common longhorn beetles but sadly, within the UK, it is rare and recorded most frequently on newly cut stacks of oak. 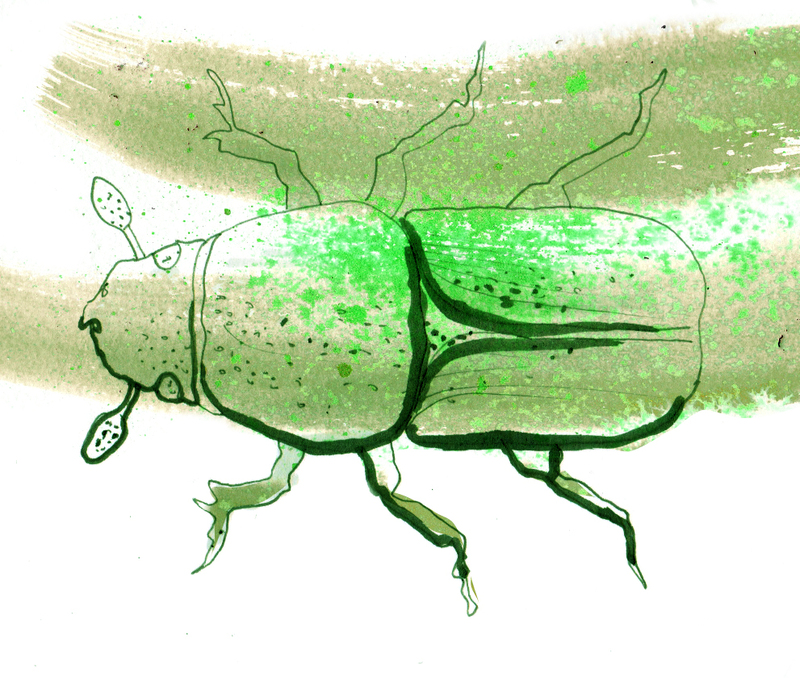 These beetles have a one year life cycle with oak as the preferred host – the larvae feed under the bark of dead branches and trunks, finally surfacing as adults from April to June. Unlike other longhorn beetles, Phymatodes will readily lay their eggs in freshly cut timber. 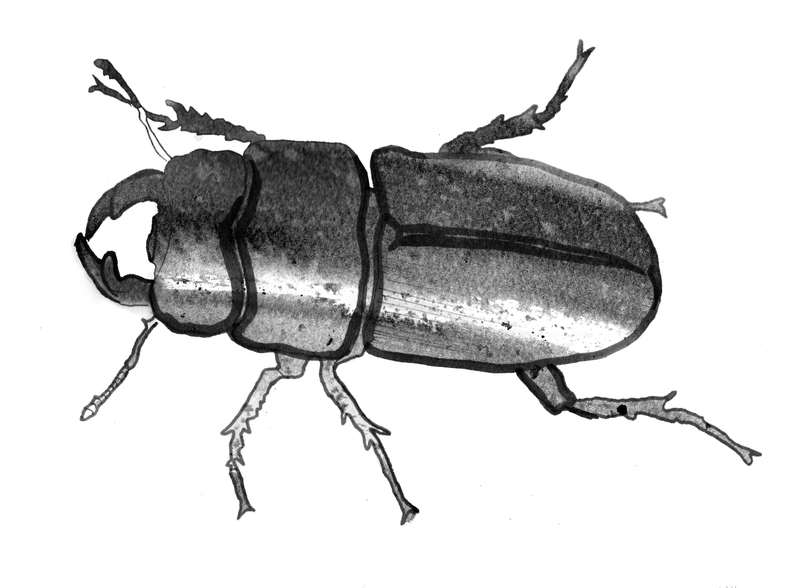 These beetles often appear during the winter months in firewood when kept for several days in heated rooms. However, it is not considered a danger to wood used in buildings because the wood has become too dry. 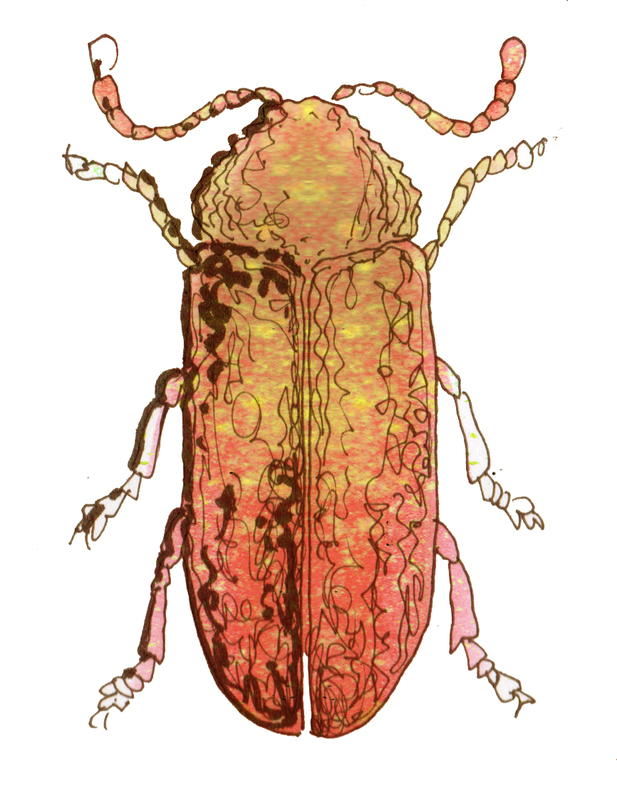 Unfortunately, this beetle’s vivid claret colour may also have contributed to its scarcity. Many gardeners in the UK often assume any all-red beetle is a lily beetle (Lilioceris lilii) and kill them. Several notable bat species are also reliant on old trees and the two listed below have been recorded at Trelissick. We are about to have a bat survey carried out and will have a more definite idea of which species reside at Trelissick when it is complete…. The noctule is one of the largest species of bat in the UK. 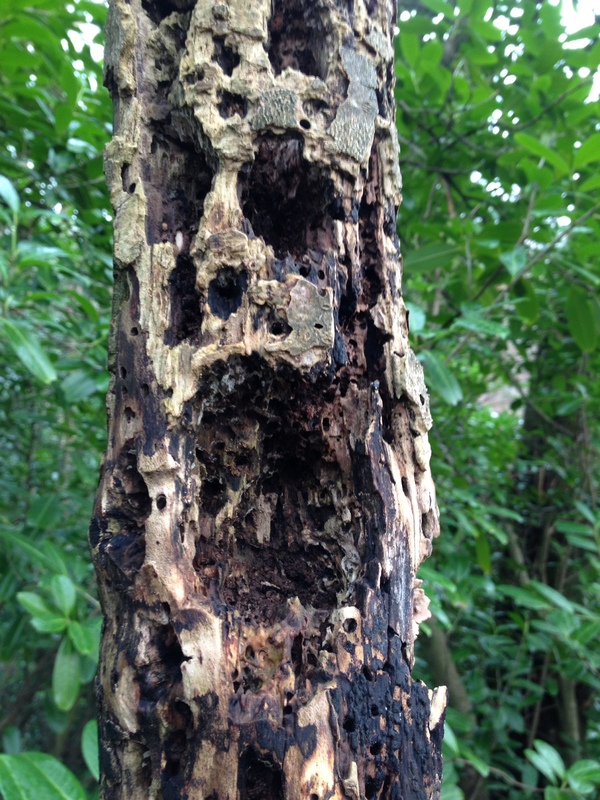 It is predominantly a tree-dwelling species, often roosting in old woodpecker holes or those created by rot. It emerges in the early evening, making characteristically steep dives to catch flies, beetles and moths. All of these species listed here are really just a small proportion of the total that reside at Trelissick as a direct consequence of our strict deadwood policy. Hopefully these covert creatures will help demonstrate why we are so relentlessly passionate and outspoken on this subject…. Previous Post Why are we leaf-blowing in the woods at Trelissick? !